Throughout my tenure at Virginia Union University I am involved with many different organizations on campus including Miss Zeta Chapter for Omega Psi Phi Fraternity Incorporated, Virginia Union Rah-Rahs Cheerleader, a member of the Alpha Eta Chapter of Alpha Kappa Alpha Sorority Incorporated, an inductee of the Virginia Union University Honors Program, a member of the National Society for Black Engineers and Miss Virginia Union University. " Upon receiving my Bachelors of Science in cyber security I plan to dive deeper in my field. I plan on becoming an analyst or information and technology specialist for a national or governmental agency. I also plan on becoming a certified programmer, and delve deeper into software programming and engineering later on in my career. 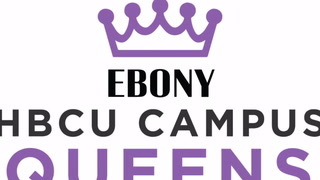 "My most memorable contribution as a campus queen,is impacting the daily lives of my peers. Whether it is through motivation or encouragement, I am always inspiring others to achieve there goals and walk into there legendary. In doing so I impact my campus and push them to work harder for them to achieve the goals they want in life. "